The KPMG network was formed in 1987 when Peat Marwick International and Klynveld Main Goerdeler merged along with their respective member firms. 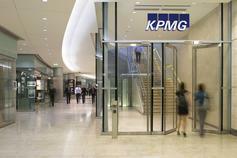 There were four key figures in the formation of KPMG. They are the founding members of the present organization. Piet Klynveld founded the accounting firm Klynveld Kraayenhof & Co in Amsterdam in 1917. William Barclay Peat founded the accounting firm Peat & Co in London. James Marwick established the accounting firm Marwick, Mitchell & Co in New York City in 1897. Dr. Reinhard Goerdeler was the first president of the International Federation of Accountants and a chairman of KMG. He is credited with laying the foundations of the Klynveld Main Goerdeler merger. At the core of KPMG's vibrant culture are a set of values that bring out the best.